I love good old fashioned fun! 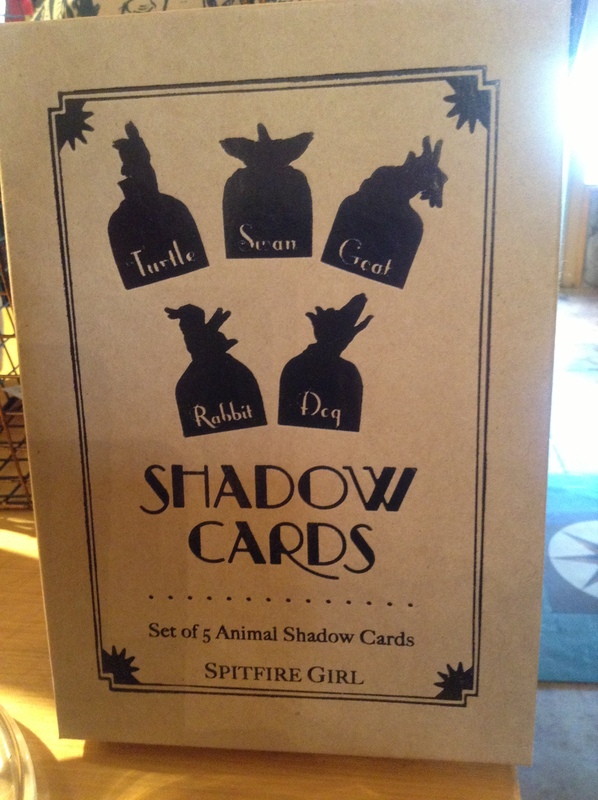 When I saw these shadow cards being offered from our vendor Spitfire Girl, I immediately bought them for the store. It’s so fun to make animal and monster shadows on your wall, it reminds me of when I was growing up. I had a great childhood and I was lucky to be blessed with a best friend who lived right next door. Despite the fact that both of our parents were divorced and it was tough times for everyone, April and I stuck together and helped each other get through life. We created our own happiness. We had big dreams and big ideas and nothing would stop us! We were planning on moving to New York, because if we could make it there, we could make it anywhere! We took dance class with Steven Peck at The Fox Theater in Fullerton, (It’s ironic how my boutique is just down the street from the Fox today.) and dreamt of starring on Broadway. It kept us creative. I remember when April would spend the night, we would stay up all night giggling. My mom would yell from her bedroom, “Get to sleep girls!” But we couldn’t help but crank call people (back then there was no caller ID), make up funny stories, and create shadow shows on the walls. April recently sent me this video of the Pilobolus Dance Theater called “Shadow Land”. It’s a musical theater production about a young girl who moves to New York to find her dreams and it’s all done with shadows. I got chills when I saw this, it’s absolutely amazing. And it just goes to show you that good old fashioned fun is inspiring and can foster the imaginations of everyone. I hope you love this video as much as I do. And keep your dreams alive!! !